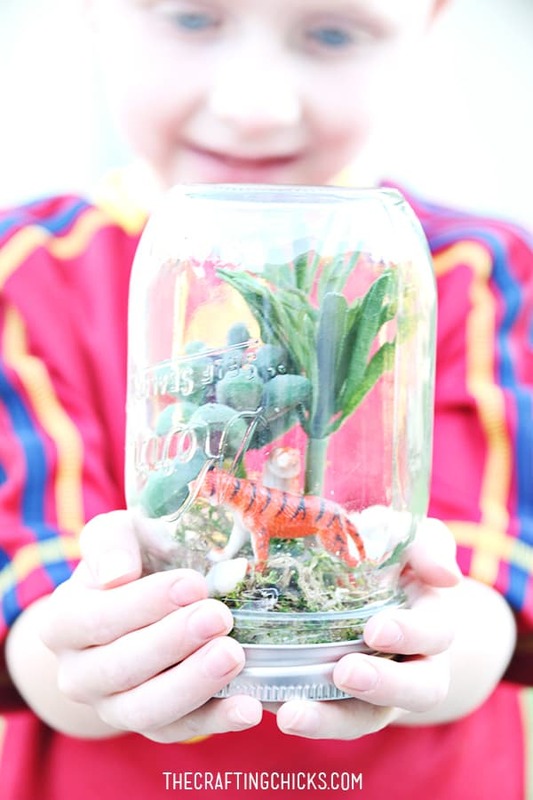 These mason jar crafts for kids are so much fun! 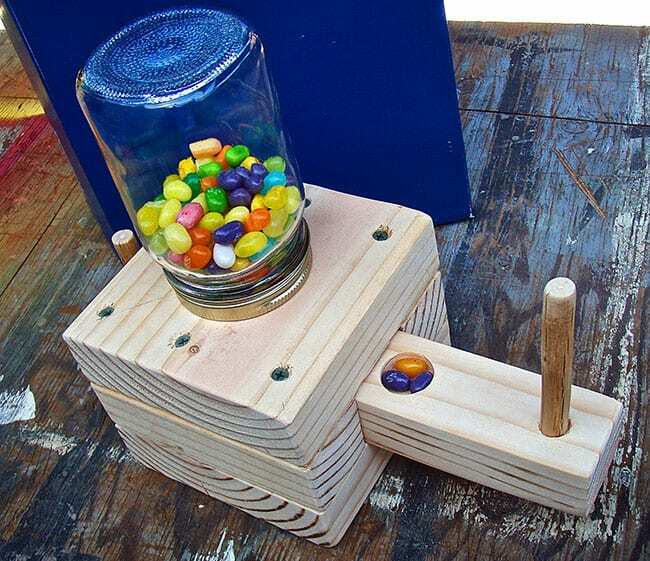 Don’t miss the gumball dispenser it’s genius! 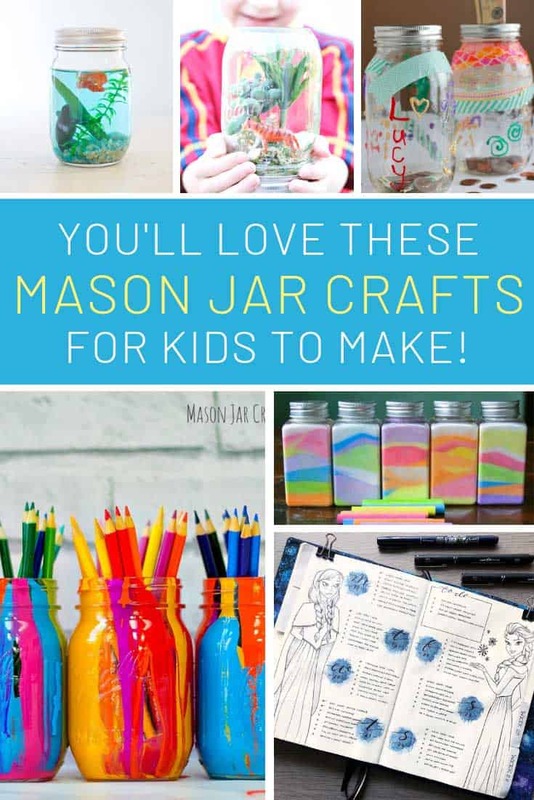 I’ve got a few empty jars taking up space on the kitchen counter so I thought I’d hunt down some fun mason jar crafts for kids that we can do this weekend. And I found so many cool craft ideas I had to round them up and share them with you! The galaxy calm down jars are so relaxing to watch and the gumball machine is just genius! My daughter spent months last year plotting a plan to capture the tooth fairy, she made her a little house to live in and everything! I wish I’d seen this fairy jar craft back then because it really does look like you’ve captured a fairy inside! 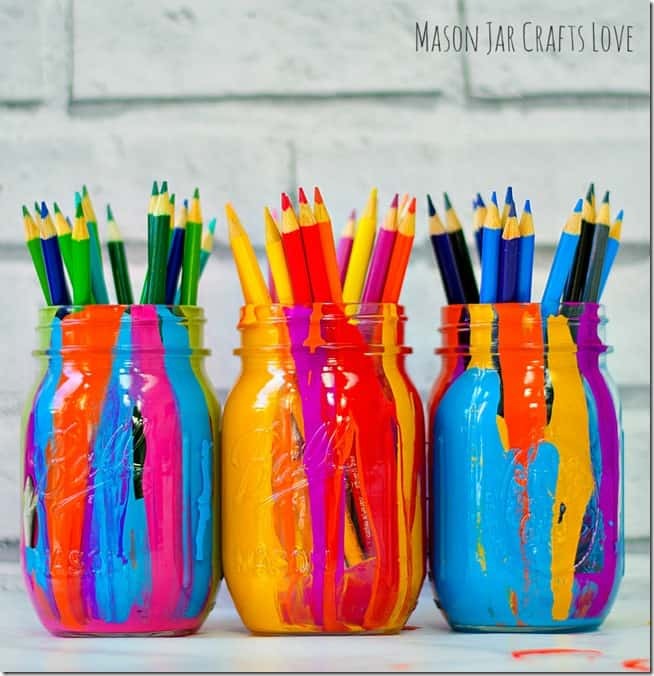 Oh my goodness how amazing do these paint drip mason jars look! I really want a set of these for my desk, and they’re make fabulous teacher gifts too! This is such a clever idea, and perfect if you have an animal lover in your family or you’re learning about the rainforest! 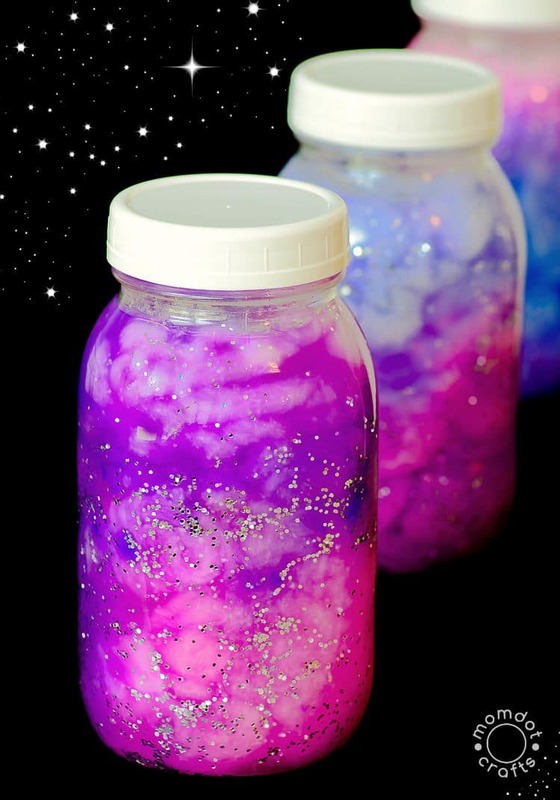 Whether you call this a galaxy jar, a nebula jar or a calm down jar this glowing jar is just stunning and one the kids will enjoy making as well as watching afterwards! Oh look we just did a jungle in a jar and now we have an aquarium! 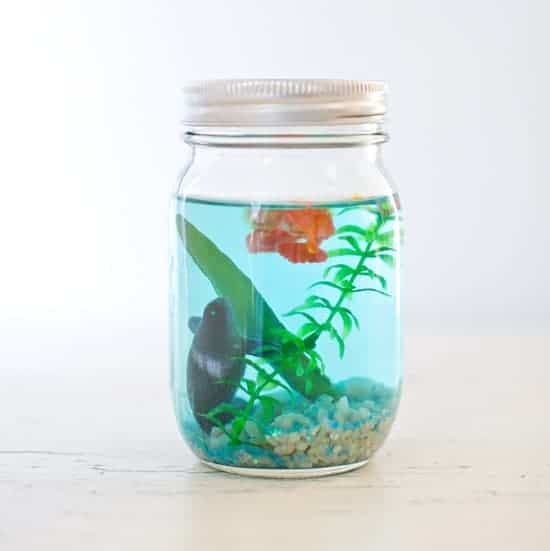 This might be a good place to start if your child really wants a pet fish! How’s this for a practical kid’s craft? 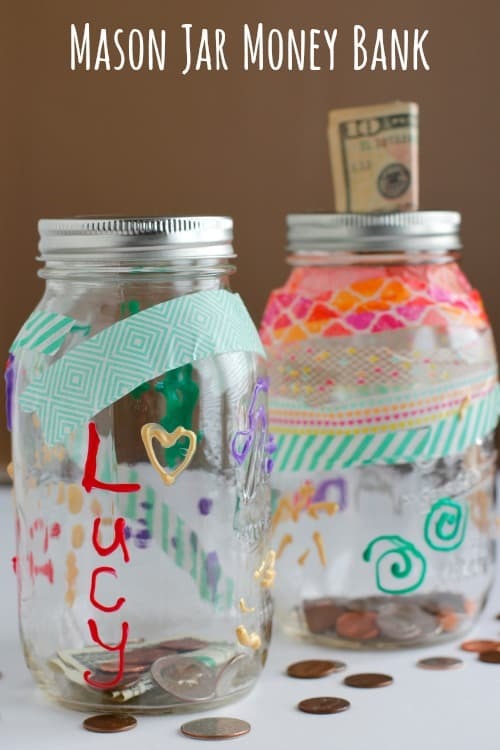 Not only can your kids have fun decorating their own money jar they can then learn about the importance of saving by filling it with their hard earned cash! 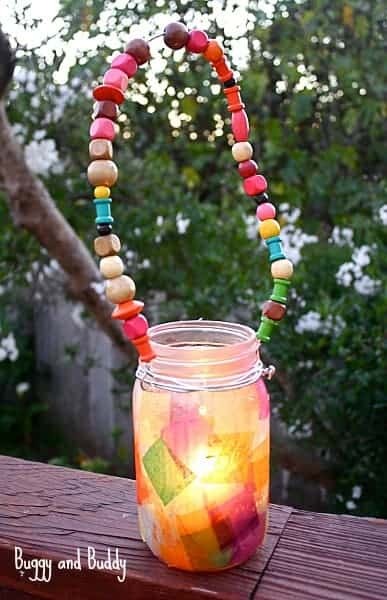 Here’s a fun craft that even toddlers can get involved with, and threading that beaded handle is perfect for fine motor and pattern practice! This would look great hanging out on the porch. Oh this might be the coolest thing I’ve ever seen… a candy dispenser made from a mason jar! 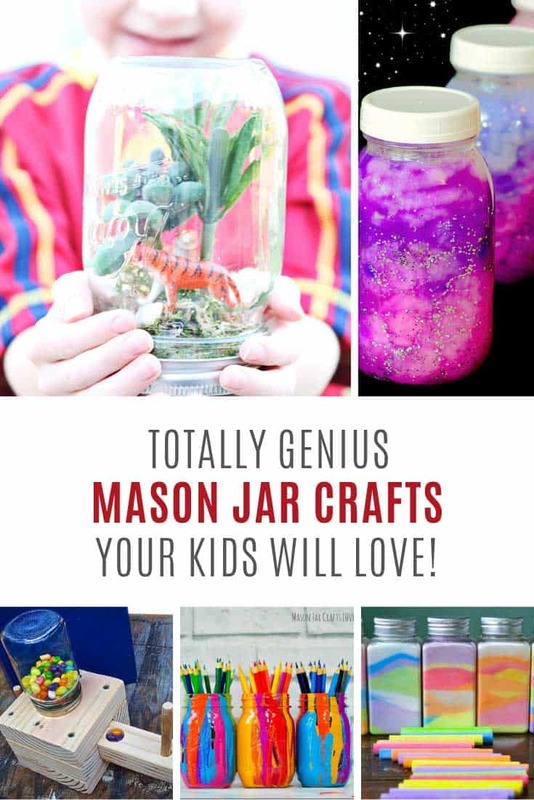 This is the perfect mason jar craft for an older child who loves woodwork and building things! 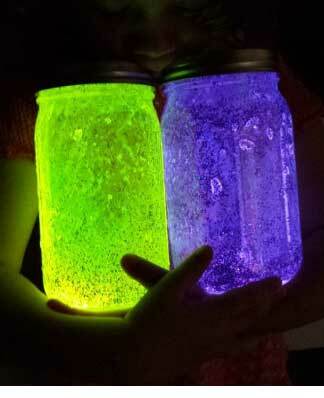 We made some of these lava lamps last summer and they turned out so well. We still play with them today! 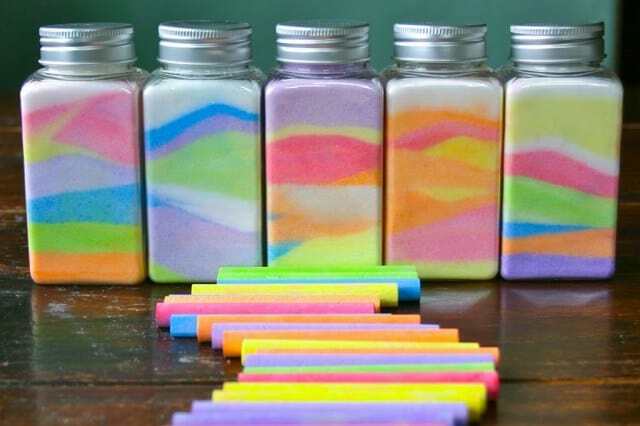 We’ve made sand art in jars before but the sand is quite expensive to buy. This craft actually uses salt and the way you colour it is genius! I’ll be picking up some salt next time we’re at the store! These would be really pretty for gifts for Mother’s Day don’t you think? Previous PostPrevious Free April Cover Page Bullet Journal Printables to Welcome the Spring! Next PostNext Fabulous Elephant Crochet Patterns that Make Great Gift ideas!